Aging wines and Italian native varieties have formed the themes of my last few posts, and this one will combine both. During the Slow Wine/Vinitaly event in New York City, I attended a seminar on and vertical tasting of Sfursat, conducted by Casimiro Maule, long-time technical director at the Nino Negri winery and Gambero Rosso’s 2007 winemaker of the year. 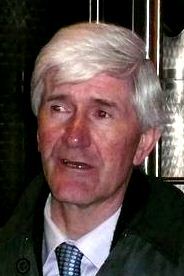 Nino Negri’s Sfursat Cinque Stelle is a consistent Tre Bicchieri winner: Gambero Rosso named its 2001 vintage Best Red Wine of Italy the year it was released. Despite all those credentials, I suspect a lot of you are saying Huh? What is it? Sfursat is not exactly a household name, even among those who know Italian wines well. What it is, is well worth learning about, because Sfursat is a distinctive wine, powerful and nuanced and very ageworthy. How could it be otherwise? It’s vinified from 100% Chiavennasca, which is the name of the local clone of Nebbiolo in far northern Lombardy. 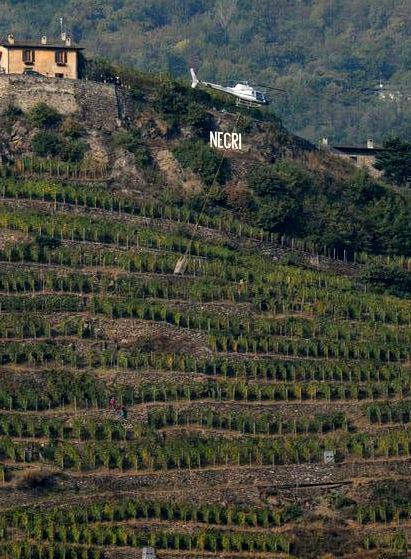 This area holds Italy’s northernmost Nebbiolo vineyards and is the only place in Italy outside of Piedmont where Nebbiolo achieves significant production. This precipitous valley lies right up against the Alps and the Swiss border – so close that for many years, most of Valtellina’s production went straight up the mountain to red-wine-starved Switzerland. 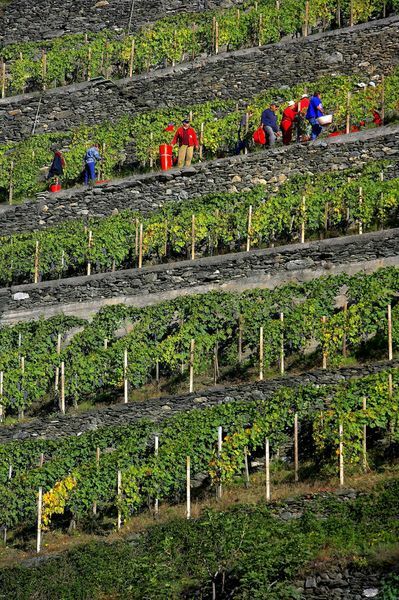 Only in the closing decades of the last century did any appreciable amount of any Valtellina wines reach US markets, and Negri, as the largest producer in the zone, is responsible for most of them. “Large” here means that the firm owns 31 hectares – about 75 acres. Most of the vineyards belong to small growers, and there are many of them, so a lot of the production here – what doesn’t go to Switzerland – is still consumed locally. Vine growing and winemaking here are not for the faint-hearted. The slopes are extremely steep, with carefully created terraces supported by dry stone walls. All field work must be done by hand, except the transport of the harvested grapes to the winery – which is done by helicopter to get the grapes there still fresh and cool. 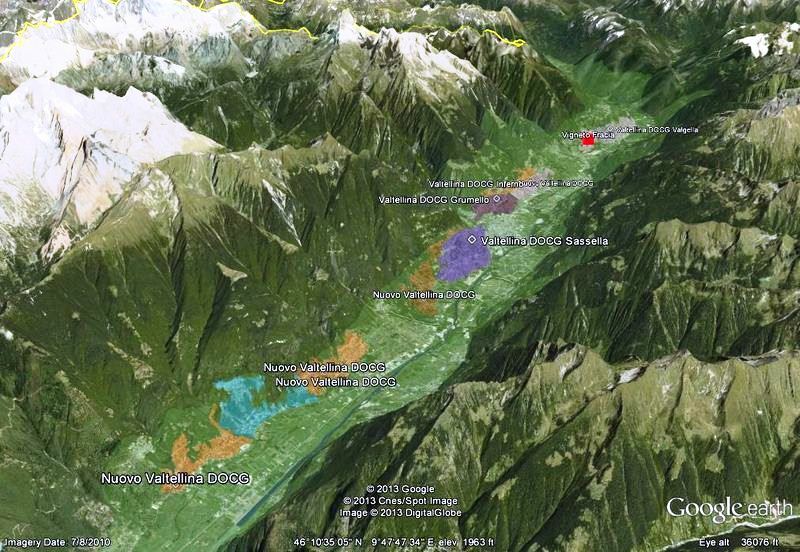 The Valtellina has been one of the beneficiaries of global warming. According to Maule, “We used to have trouble here reaching 12° of alcohol (the minimum required for the DOC): Not any longer.” Sfursat has probably benefited most from this climate change. So what exactly is Sfursat, and what makes it so special? First, it is not a single-vineyard wine. Rather it is made only in the best years from selected grapes from all the communes of the Valtellina zone: Inferno, Grumello, Sassella, and Valgella. Each of these has its own DOC and produces a “normal” wine just about every year. According to Maule, “The grapes for Sfursat come from special clusters, small and loose. These are picked before the regular harvest by specially trained workers.” The grapes are then placed in crates in open, airy sheds on the hillsides, where they will slowly dry – a process known as the appassiamento – until January. During this time they are twice picked over, and about a third of the bunches are discarded each time. 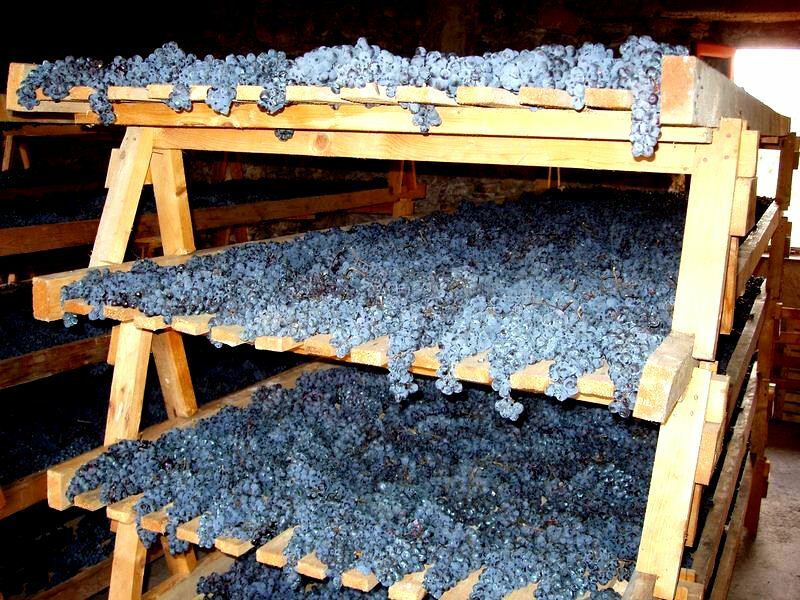 In January, the remaining third is pressed and fermented – slowly, starting at about 4° centigrade and gradually rising to 13° over 15 to 20 days. The wine is then aged for 18-20 months in new French oak barrels. The result is a big, concentrated wine, its feel on the palate reminiscent of Amarone (not surprising, given the similarity of their vinification) but more austere, with an initial reticence and an underlying structure eloquent of its rocky origin. The regular wines of Valtellina are considerably slighter – very enjoyable and frequently elegant, to my mind resembling the Donnaz of Val d’Aosta, but lacking the body and underlying power of Sfursat. In good years, Sassella and its kin can age quite nicely: In almost every year that it’s made, Sfursat can last long. The wines Maule presented in New York showed that nicely. The vintages represented – 2009, 2007, 2004, 2002, 2001, and 1997 – all displayed fine freshness and fruit, as well as increasingly apparent (with bottle age) muscularity and evolving mineral and earth tones. All seemed to have years of life before them yet, though the outstanding wine of the day for me was unquestionably the 2001 Sfursat Cinque Stelle – an extraordinarily rich and balanced wine that combined the kind of youthful fruit that promised years of life to come with the kind of maturing flavors – nuts and tobacco, chocolate and mushroom – that proved its remaining life would be interesting indeed. This was the wine that won “Best Red Wine of Italy” from Gambero Rosso the year of its release, and it was very easy to see why.